Merce Cunningham pioneered the contemporary conception of dance as a moving image of life. 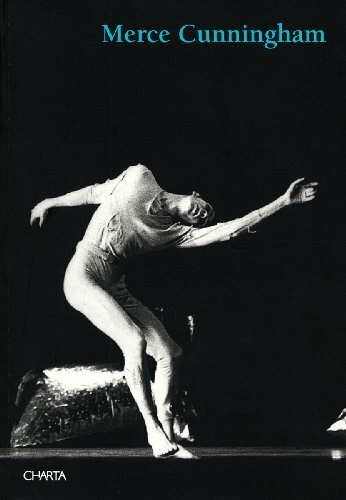 His innovations in the field date back to the 1940s, when, after meeting John Cage, Cunningham proposed the separation of music and dance, and applied chance procedures to the structure of his dances; more recently, he has used film, video and computers to further extend and blur the medium’s boundaries. Collecting homages and testimony from Cunningham’s many admirers, collaborators and friends, this volume surveys the numerous innovations and milestones in Cunningham’s career, from 1944 to 1999. Composers such as Gordon Mumma, Earle Brown and John Cage, artists such as Jasper Johns, Robert Rauschenberg and Nam June Paik, and dancers such as Yvonne Rainer, David Vaughan, Douglas Dunn, Steve Paxton and Carolyn Brown describe their collaborations with the legendary dancer and choreographer over the past half-century, in interviews, essays and memoirs, alongside Cunningham’s own writings and a wealth of illustrations.